After the publication of “The protective effect of small amounts of selenite in sublimate intoxication” by Parizek and Ostaldalova in 1967, there was a continuous stream of papers on selenium-mercury interactions. This stream has become a flood since the publication of “Selenium: relation to decreased toxicity of methylmercury added to diets containing tuna” by Ganther et al. in 1972. Follow-up research initiated by these two reports and the use of selenium-mercury interaction as a research tool contributed considerably to knowledge on the biological behavior and action of selenium and mercurial compounds. Contrary to the scientific return, the benefit of practical application has remained non-existent. 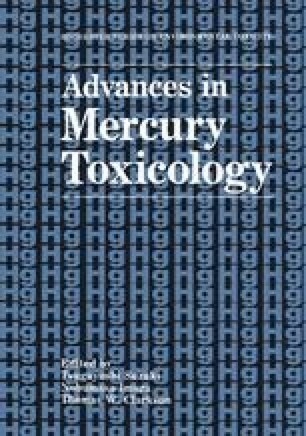 In the light of this experience the practical value of protection by selenium against inorganic mercury and methylmercury toxicities is scrutinized here. There is hardly any problem to deal with the effect of selenite on sublimate intoxication. The protection is real when optimum experimental conditions are chosen, but in human intoxication the use of selenium as an antidote is impractical and even dangerous. Selenium must be given within a narrow span of time in near equimolar dose with sublimate. When it is given late, it does not prevent renal damage, and when it is given 1–2 hours before mercury, the metabolite of selenite, dimethylselenide, in the presence of mercury becomes a killer. Moreover, while thiol complexing agents increase the urinary excretion of mercury, selenite promotes retention in the the form of HgSe which later can become the secondary source of mercury. Contrary to acute sublimate intoxication, the timing of selenium administration is not crucial against chronic methylmercury intoxication. This advantage is balanced by the disadvantage that selenite delays, but does not prevent methylmercury intoxication. This makes the use of selenite as a preventive antidote a hardly acceptable proposition. Other contraindications are the following selenium-methylmercury interactions: (1) selenite temporarily increases the brain content of methylmercury; (2) methylmercury intensifies the growth retarding effect of selenite; (3) selenite at low doses increases the foetotoxicity and teratogenicity of methylmercury. There are two other problems which require consideration. The first is that methylmercury increases the exhalation of selenium (as dimethylselenide) and this effect becomes more pronounced as the dose of selenite or the body burden of selenium is increased. Thus methylmercury progressively decreases the bioavailability of selenide and through this mechanism may contribute to the failure of selenite to prevent intoxication. The second point is concerned with the protective potential of selenium in food. Because a protein rich diet without selenium supplementation also delays onset, the role of natural selenium in the effect of dietary fish high in natural selenium cannot be ascertained. The extrapolation of experiments with selenite most probably overestimates the protective potency of natural selenium. The bioavailability of selenium in different chemical forms is different, and e. g. the bioavailability of natural selenium for HgSe formation is less than 20% of the bioavailability of selenite selenium.